Most oceanfront homes along the Mendocino Coast are built on bluff edges high above the ocean with rocks at the base of the bluffs. It is rare to find homes sited above or with access to a beach. Pine Beach House is one of those rare breeds.... pleasantly sited above Pine Beach with a gentle walking trail leading down to the beach and ocean. From the house or beach, there are outstanding views perfect for watching the ocean during a sunset or a raging, dramatic storm. Pine Beach House is, without a doubt, a real find. It's a piece of magic on the Mendocino Coast. Cozy and comfortable are words often overused.... BUT... it's the best way to describe Pine Beach House. .... and cozy, comfortable with a touch of elegance are what people are looking for in a vacation rental… and now you’ve found it. Pine Beach House has 2 bedrooms and 2 baths each with an ocean view. It's perfect for a couple or family or friends up to a total of 4 guests. The kitchen, with a large center island (4 bar stools) plus a dining table is spacious and great for “gathering-round” at lunch time or for the cocktail hour... the sunset hour. Guests at Pine Beach House naturally gravitate to the large deck equipped with a terrific hot tub and outdoor fire pit, where the ocean views are even more impressive. The ocean can be spectacular during the stormy season, with huge breakers crashing into the beach, or memorizing on a sunny day when the water is smooth as glass. two-minute stroll away. And, if you aren't the hardy type, you can be excused if you choose to sit by the fire with a favorite book, a cup of tea or a glass of wine. Set on a bluff above the ocean and above Pine Beach, its namesake, Pine Beach House is one of the more-sought-after vacation rentals on the Mendocino Coast. Cozy and perfect, whether for two or four.. gather round for breakfast... with a view - lunch... with a view - dinner... with a view … or for cocktails & stunning sunsets. PINE BEACH HOUSE To see all photos and details visit our website. This is a beautiful well kept home! It had everything we needed,the kitchen had everything we needed. The view is breathtaking to put it mildly. A perfect place to relax and recharge. Gorgeous views with a little cove and beach just a few yards away. We sat in the hot tub with a glass of wine in hand and watched a couple of whales not more than 100 yards off shore..... how cool is that!!!! Hello Heather, thank you for your review. We just wanted to let you know that the deck is recently built and they are still putting the finishing touches on it, if you stay at Pine Beach House again you can expect it to be completed and everything to be working (including the washing machine). Thanks again! Pine Beach House was ideal for our weekend. We loved the new deck, the hot tub and the wonderful view and access of the cove. The bedrooms were comfortable and clean. So relaxing,loved the new deck, Hot tub and other upgrades. We love coming here., can't find better views!! Private Beach, Dogs Life, Slice of Heaven, Location Location! The View and Location will take your breath away it certainly did ours. We arrived at night and were greeted by a House that’s oh so comfy. It really is a quintessential Beach house. In the morning OMG the view from every room is spectacular. The walk to the Beach is super easy don’t worry really not steep at all and short walk way specially for the house. Very private. The deck is great place to sit read a book and take in the sea air. The house has every platter pot pan dish you can think of. Ok cons: hot tub wasn’t hot enough and could not be adjusted, fireplace didn’t work, ants, and small master shower but hot water was plentiful! The only other thing is that if you buy a bunch of groceries and plan to cook for a couple of days there is no pantry to place dry goods. No space for cereal or crackers or bread it was strange leaving it all out on the counter especially if you have a longer stay but in all honesty the cons are no reason not to rent this absolutely perfect beach house for any beach loving dog man women or child it’s great. So comfortable with everything you could really need. This is our second time staying here. We came back because it is relaxing and centrally located. The kitchen is modern and fully stocked. The view from the back deck and the hot tub are breath taking. Very private. We had a great time at pine beach house. The photos did not do the place justice. It far exceeded expectations. We didn't want to leave the house because the view was do awesome. We loved it! Kitchen well stocked for cooking!! We cooked for 4 nights. Many games and movies. Some books and some music CD's. Rooms are spacious. 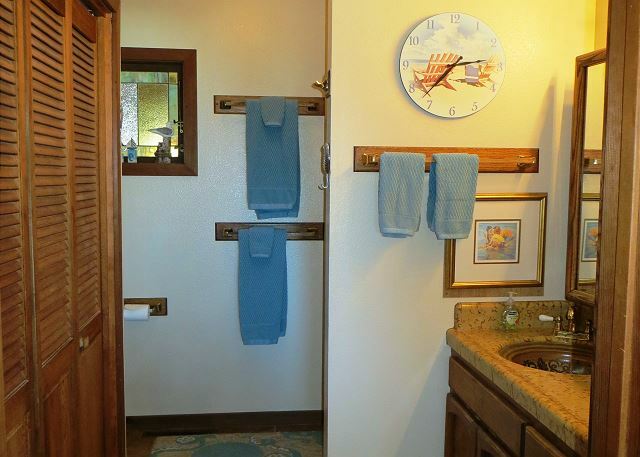 All was clean and neat except for the bathroom with shower only, it had a musty urine smell, no window to open. Maybe the rugs in toilet area needed to be washed? Location was great, view was awesome! !, nice deck and plenty of deck chairs. Nice landscaping. My sister and I loved this place for our annual sister trip. We have stayed at many places in Mendo/Fort Bragg area, this was by far the best!! We are in our late 60's so we couldn't use the beach access, too steep for us even with a path and hand rails. This is a great little house that is well equipped for renters. The beach access is really what makes this place special. The kitchen was stocked with every pan and knife you could possibly need. Most of the place was wonderful, but there were a few things less than ideal. The main thing was the carpets were really dirty and there was a tremendous amount of chlorine in the hot tub (our daughters eyes were really burned). The house is a little dated and run down, but otherwise seems loved by its owners. The gardens and landscaping are very really nicely done. We love this house and have rented it over 15 times. Its view is unsurpassed. Deck always has both sun and shade. House is comfortable with good beds. The house with access to the beach and trails was perfect. The house was appointed very nicely. We would definitely stay again. Only concerns were ripped screen doors and guest shower in the tub was tricky. We have never been so relaxed at any rental home! Gorgeous views, fresh air. Hot tub with view! Kitchen has stocked utensils, etc. The weather was perfect! Loved this property! Bed was comfy, no texting or internet connection, which was fine with us. Arron K from Foster City, CA does not recommend this vacation rental. equipped. We will return in the near future. A wonderful few days on the coast during the Mendocino Music Festival with my grand daughters and wife. The house is perfect with a view that is breath taking with access to the beach. The view was an amazing. Had a great time. our first trip to the area was terrific and we look forward to going back. As former residents of California (now residing in Minnesota), we were looking forward to showing our friends from Minnesota what a beautiful state California is. They were simply amazed at the views from Pine Beach House. The house, the location, the decor and views were like something out of a storybook. We would definitely like to come again. Great location, great house, great time. Highly recommend. This is our second stay at Pine Beach House and we can't rave about it enough. 'Inviting' is the word we use to describe this comfortable and welcoming beach house. 'Spectacular view' closely follows. The attention to detail in every corner of the house makes a visitor feel most welcome ... and our pets too ... a little gift of dog bones for our 4-legged kids was a wonderful gesture to say "You're welcome too". We appreciated the new gas cooker upgraded from our last visit - we love to cook and spend time at home and the new cooker was a treat. We will certainly be returning time and again. Thank you for sharing this lovely home with us! beautiful,clean,homey,chef's kitchen,easy walk to private beach. We had a great time at Pine Beach House. The views were excellent and the trail down to the beach was great. Our new favorite place to get away! The property was fabulous and beyond our expectations. The location is wonderful and so close to either Ft Bragg or Mendocino for so many restaurants with great food and super nice people. We just can't wait to go back already. If your thinking about it, stop and just do it, I promise you will not have any regrets this will make you very satisfied in every way. Oh also forgot to mention we were able to watch Whales breach from the patio. Great. 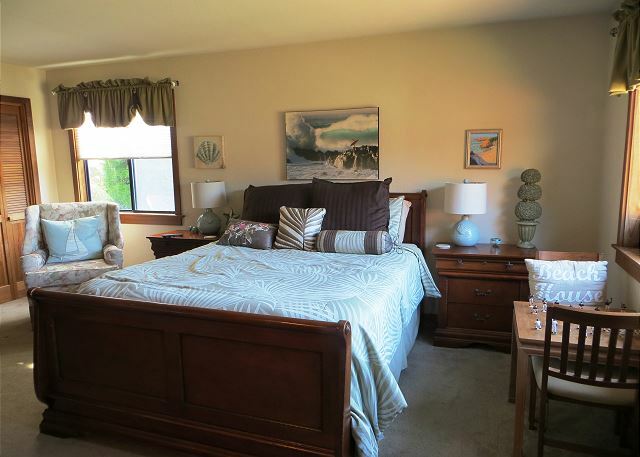 Well equipped home with two large bed-rooms, plenty of space, and a wonderful view. My husband and I and our two furry kids stayed here on a very rainy and windy weekend and enjoyed every minute of it! We took advantage of the convenient and beautifully surfaced path to the beach a couple of times a day. The home itself is very inviting and cheerfully decorated. It has a warm and cozy feeling and will now be our "go to" Mendo spot! It is also unbelievably outfitted! The kitchen literally has it all. Oh and did I mention the spectacular view?!! This home was a lovely surprise and a delight. We had a ocean view from every room. The kitchen was a cook's delight. The beds were extremely comfortable, sometimes not what you find in a rental. The spa was well maintained and clean. The home was stocked with puzzles, games, books and movies, perfect for our rainy day stay. Management was attentive to all our questions and very professional. We look forward to coming back. Lovely place, we've returned many times. My Friend from Germany had the perfect get-away. The property was at an exceptional location. The views spectacular. The house itself was tastefully furnished and did not lack anything. I particularly appreciated the kitchen fully stocked with anything utensil, pot, pan, ect a chef would need. Home is well appointed and comfortable. The kitchen is spacious, the beds are super comfy and the view is a knock out! The personal access down to the coved beach was perfect. We enjoyed sitting in the hot tub and gazing up at the stars. brilliant place. highly recommend! Just what we were hoping for. 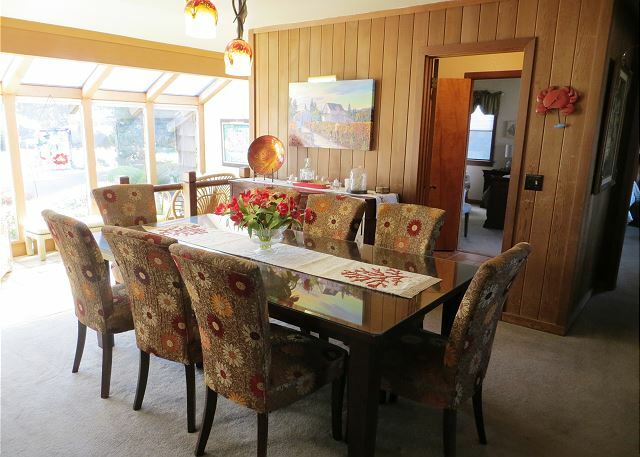 This is our third trip to Mendocino and our second rental from Mendocino Preferred. Cannot say enough nice things about all of the people from the rental office-they were fantastic. We arrived after dark to a home with lights burning, heat on, a treat for our little Lily and a treat for the grown ups. Doesn't get any better than that to make you feel right at home! 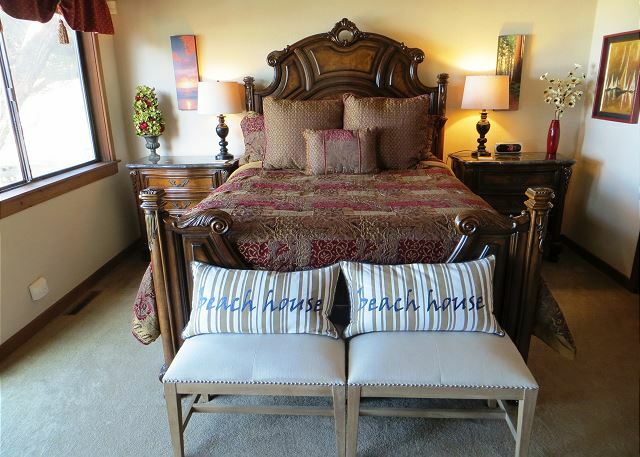 We love the Pine Beach house... from the minute you walk in you feel like you have come home?? This was our first trip to the Northern California Coast and we had hoped to find that special place to experience it. We certainly did. We cannot express enough how very ideal the house and its location was to us. The description we had read seemed too good to be true but we found that it was even more than we had hoped. It was clean and well equipped and ideally located for our purposes. We enjoyed exploring Mendocino and Fort Bragg, hiking the headlands, and had an especially good meal at Cafe Beaujolais. We would recommend it to all who love to travel and explore. Nice house. Great location. View interfered with my reading when sitting out on the deck. Close to Fort Bragg for restaurants and shopping. Clean and well supplied with blankets, towels, coffee and spices. Wow, the Pine Beach House was everything you could want in a beach house and more! 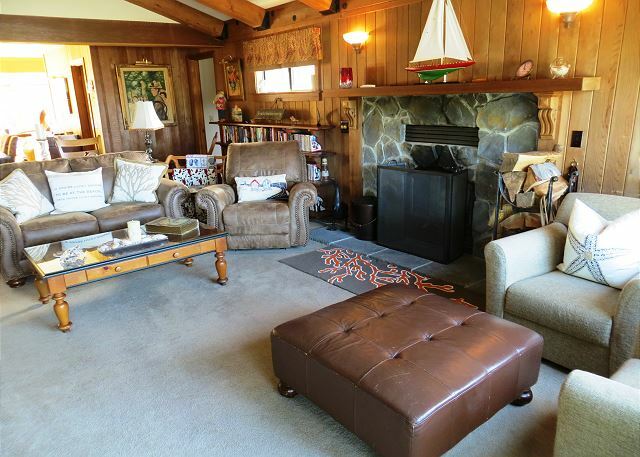 First of all the location of the house was perfect, between Mendocino and Ft Bragg, just close enough to each making it ideal for seeing the quaintness of one town and the convenience of a larger city. The reason we rented the house was because it was right on the beach (as not many rentals are in that area) and they allowed dogs! Our Bichons love the beach, and spent everyday playing in the gentle surf! The views from the house morning, noon and night were just spectacular! We spent mornings drinking coffee outside, sunning in the afternoons and watching the beautiful sunsets from the hot tub!!! The house itself was gorgeous and very clean, and was much larger than the pictures suggest, and was laid out perfectly for two couples. The kitchen was beautiful and fully stocked. One of the places we enjoyed was the beautiful Mendocino Botanical Gardens, and brought the dogs who really loved the walk through the garden. We had a wonderful sunset dinner at the Pt Noyo Harbor, and did a drive along the coast stopping to see the wonderful scenery along the way including the Point Arena lighthouse! We strolled down Main St in Mendocino and enjoyed the little shops and galleries. All in all a wonderful getaway vacation! We.had a wonderful time at Pine Beach cottage. We felt welcome and appreciated the nice personal touches, the note, and biscuits left for our little doggies. We also enjoyed the wine and flowers. We were made to feel special and comfortable. We were close to some of our favorite restaurants.,Mendocino Hotel, little River Inn as well as grocery stores and coffee shops. Perfect!! The house is in a great location with fantastic views. The house is a bit funky and dated but the owners obviously want to make it pleasant for the guests and the kitchen has been updated and it is very well equipped. BUT BEWARE if you rent this house via the VRBO_HOMEAWAY page, they will add a percentage of the whole rental cost to your cost and they will charge it to your credit card. Homeaway are impossible to deal with. It made what otherwise would have been a very pleasant experience, a VERY unpleasant one. I felt cheated because even though VRBO-Homeaway lists the charges in the website, they do it in such a way that they add it to the total cost and you do not see what these charges are unless you click on the "View Details". First the rental company was very nice and helpful. The only thing is they didn't have there address on any of the e-mails. The house is just wonderful. Decorated so warm and inviting. View is breathtaking. Clean and well stocked, especially the kichen. My boyfriend and I love to rent houses through Mendocino Preferred so when my sister decided to come out from Berlin to visit me, I knew exactly where to look for a rental for us to sisters to have luxury girl time for a few days. I can't begin to say how awesome it was. This house was special. We knew when we walked in the door that it just felt like home! The house had a vibe that felt like mom had just made a batch of cookies, so cozy and inviting! The kitchen was incredibly equipped with every kind of pot, platter, glass wear or utensil you could imagine, there was a closet filled with board games, books and dvds, and comfy blankets to wrap up in. Great amenities!! But the beach access was the best. Even tho it was chilly, my sister and I bundled on sweaters, rolled up our pants and went running and skipping through the waves at sunset. It was like being little girls again!! Such a special time, we didn't want to leave at all! I am totally going to rent this house again and am looking forward to it!! Thanks so much to MPVR and their great staff and to the family who owns the house, their kind spirit is felt in the atmosphere and seen in all the amazing art and quirky details in the house that truly made us feel at home. This is a lovely house with a beautiful views and a private beach. The house has a well stocked kitchen and lots of books, movies and games for inside entertainment. 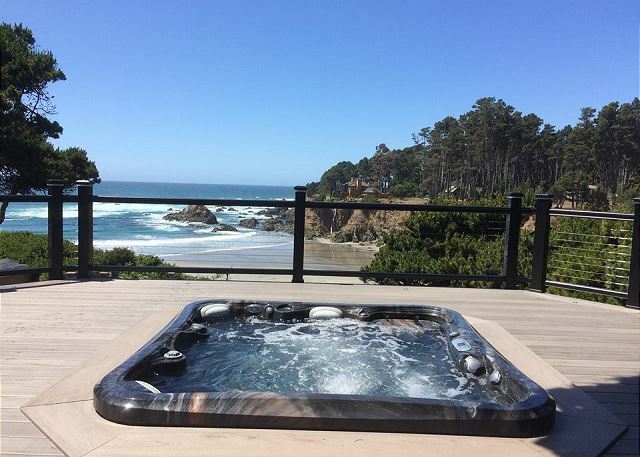 The deck and hot tub are a great place to relax and soak in the coast views. There was a bit of an ant problem, but Mendocino Preferred Vacation Rentals did what they could during our stay. If it were not for the ants I would have given Pine Beach House a full 5 STARS. We will be back. I've stayed at Pine Beach House many times and, as always, it was a delight. Even in the rain, it is easy to get lost in the view. Amazing stormy seas in January! The house is well appointed with everything you will need in the kitchen. The bravo is that the owners replaced the electric stove with gas. I'll go back in a heart beat. Great stay in a wonderful house! We had a fantastic time in this comfortable spacious house. The views of the beach and ocean are spectacular. The hot tub with sunset views, incredible beach down the path... huge well-equipped kitchen... all made for a great time. The management company was very helpful with our questions. We had a wonderful time at the Pine Beach House. The house is very warm and inviting and in the perfect location. 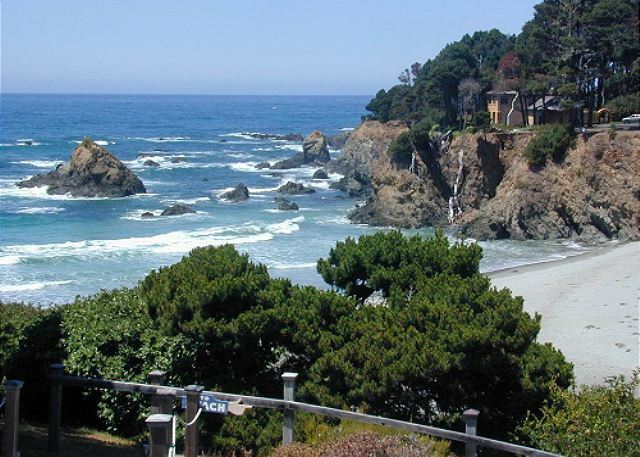 We were within a few miles of magnificent state parks, the Botanical Gardens, Mendocino and Fort Bragg. The pictures of the view says it all! The Pine Beach House is an amazing property. Spectacular views, sounds & sunsets. It was relaxing and comfortable. We would recommend this property to everyone. A little piece of Paridise?? Love the house, love the view... 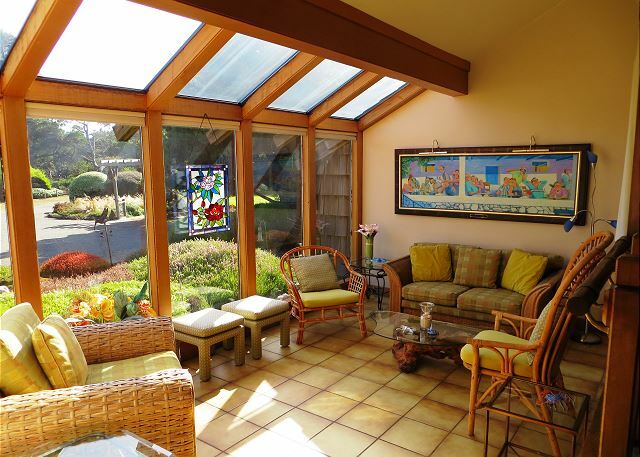 Perfect location between Ft Bragg and Mendocino! We love this movie lace, stunning views, laid back vibe, functional in every way. This house was very nice, clean and spacious for our family's stay. We spent a week touring the north coast before bringing our oldest son back to school in SF. What a treat to stay here! The view was breathtaking from the house and the hot tub was very relaxing after long days hiking. It was so nice to have all the space. Sleeping to the sounds of the ocean and waking to that view was a slice of heaven. Would love to return again...perhaps during the whale migration?? We rented the house and cottage for a family celebration and had a wonderful time. 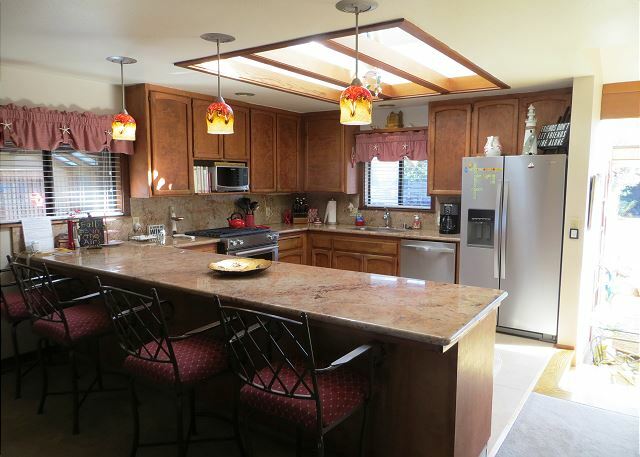 The house is spacious and the kitchen is perfect for preparing family meals. The deck has amazing views of the secluded beach - we all spent a lot of time out there enjoying the view. There is a short path to the beach. No better spot for a romantic, secluded vacation! All you need are groceries. We found the Pine Beach house to be exactly as described in the literature. The layout of the home was perfect for our needs. It accommodated the four of us beautifully. The hot tub with view, the sun room, and the expansive decks were our favorite features. The property was clean and well maintained. We really appreciated how well stocked it was--we didn't know what to expect in that regard. The management group were very cooperative and helpful. In fact, there was a problem with the stove and management corrected the problem almost immediately. We found that the management personnel were responsive, courteous, helpful, and cooperative. We definitely recommend this property to our friends and relatives. In fact, we have already booked another week next year with our daughter and son in law. We absolutely loved the private beach and the expansive view of the ocean. We went salmon fishing in Fort Bragg and BBQed one of the fish on the BBQ. We love this place! The owners have done a great job in making this a pleasant home away from home. I grew up in that area and knew there were homes tucked away, but I didn't expect them to be as nice as they are. One little correction should be made in the advertising. It is supposed to be a leisure two minute walk to Jughandle, but is more like a 20 or 30 minute hike. 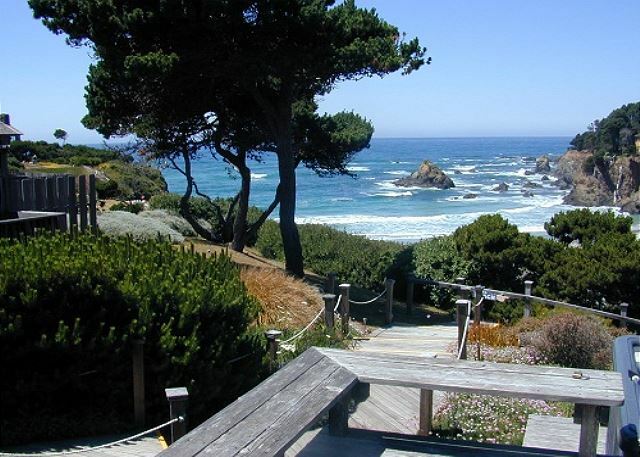 The Pine Beach Inn is run down and detracts from the area, but it is a very short drive to Mendocino or Fort Bragg for shopping and restaurants. We enjoyed our stay and will be back. We have come to this house many times. The view changes with every change of light. We never get tired of sitting on the deck. East to get to all the state parks and town eateries. Exactly like the picture. Fabulous! We loved everything about the Pine Beach House. It is up on the bluff with amazing views, and also has a private trail down to the beach. We loved it! We would absolutely go back! Warning: The trail is not for everyone. It is like 6 flights of stairs, except it has sand and rocks instead of steps. It is fine for people who are sure-footed and in good health. A great vacation that we look orward to doing again soon. Very relaxing, great house and location. We had everything we needed to be comfortable and enjoy ourselves. What a great find!! My 7 year old son called it his dream house. We walked (and played football) on the beach every morning, twice were there other guests on the beach. Our 13 year old lab loved it with plenty of new smells. Comfortable beds and a warm and cozy fireplace. All of our needs were meet. The jacuzzi was a huge hit and a great place to enjoy an afternoon glass of wine. As another guest commented it is much nicer than it looks in the photos. 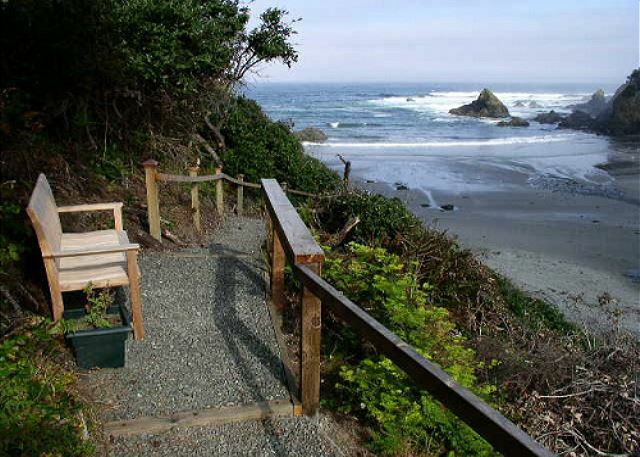 Our time away was wonderful and the Pine Beach House was a great place to spend time at the Mendocino coast. The location and views were fabulous and the house was very well-appointed. The kitchen had everything we could possibly think of and there were many places in the house to spend time relaxing and enjoying our surroundings. The sun room was a particular surprise - even though it does not face the coast, we spent many mornings sitting there and enjoying the light. The path down to the beach took a few minutes to walk and we went down on most afternoons to watch the sun set. The hot tub was a great finish to the day where we could see many stars that we don't normally see. This has become our "go to" house on the coast! The house was perfectly appointed with everything available to help make our stay like floating on a cloud. Stunning view and lovley home! We brought the family with us and had a marvelous time as the home is well suited for children. Everyone enjoyed the hot tub, the private beach and the landscaped garden. Don't hesitate to book this place! We really enjoyed our stay at the Pine Beach House. It was cuter than the photos show and had nice furniture and cute accessories. It had a clean and comfortable feel, right from the start. Bed was very comfortable and towels and linen were in great condition. My kids enjoyed exploring the little cutesy items all over the house -- the jars of shells, the little signs, little electronic candles, etc. The house was great. Four of us stayed there for three nights. View was spectacular. Good access to beach. House well appointed and had all that was needed to cook our meals. Pine Beach House - Fabulous! We have stayed at a number of your rentals and PINE BEACH is the best! The home is in a great location with a beautiful ocean view. From the moment you walk into the house you get a feeling of home and family. Beautifully decorated and comfortable. Thank you to the family that has offered their wonderful home as a rental, We can't wait to stay there again! Thanks to the Mendocino Preferred Rental staff - as always they were wonderful!!! This house gives you the alone with the ocean feeling, but is 5 minutes to town. 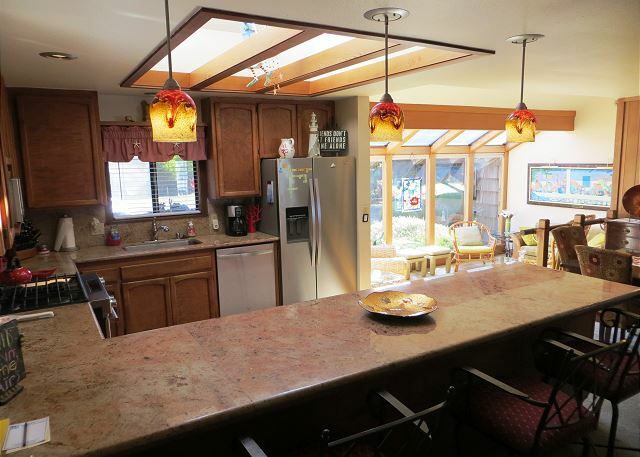 Great views, comfortable inside, good kitchen and entertainment. Unbelievable view and location! Would recommend it to everyone! This vacation property was just as advertised and the pictures do not accurately portray the beauty of the beach and tidal pools. We had a fire on the beach and made smores. The kitchen was exceptionally well-equipped and we are ready to book next year. My only recommendation-a gas grill would be nice. Take your family now! This beautiful home exceeded our expectations, wonderful location, clean, well stocked, a wonderful view. I cannot say enough. Highly recommended ! It was terrific. We were able to watch the whales migrating from time to time from the back deck. The kitchen was very well equipped. We cooked all our meals there, and did not need any kind of utensil. Everything was very well thought out. I would come here again in a heartbeat!